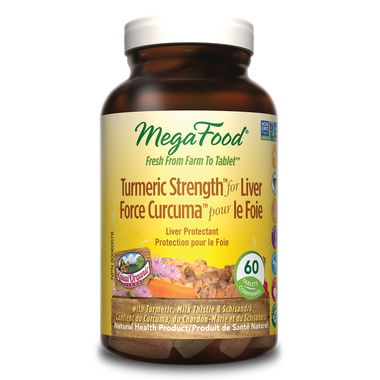 MegaFood's Turmeric Strength for Liver delivers whole food and concentrated herbal antioxidant compounds to support healthy function of the liver, including support of vital detoxifying pathways. 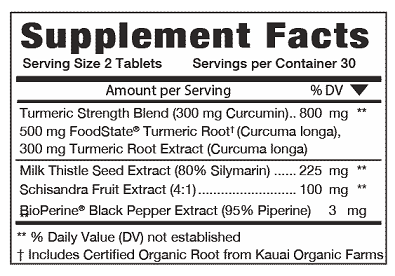 Suggested Use: Take two (2) tablets daily or as otherwise directed by a health care practitioner. Use for a minimum of 3 weeks to see beneficial effects. For use beyond 12 weeks, consult a health care practitioner.